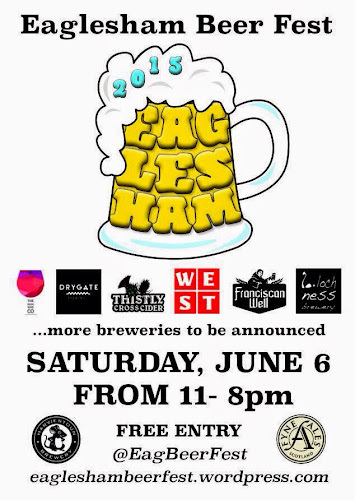 This year sees the inaugural Eaglesham Beer Festival which will run alongside the popular biennial Eaglesham Fair on Saturday 6th June. The normally sleepy town of Eaglesham is just a couple of miles down the road from me so I was always going to get along to try out some of the wonderful craft beers that are likely to be on show. This coupled with the fact that my wife will be exhibiting some of her beautiful hand made jewellery within the craft tent at The Eaglesham Fair meant that I now have a designated driver on the day so now I have no excuses for not sampling an ale or two. Keen to know more, I made contact with the festival organiser Fraser Wilson to find out more so that I could help spread the word. I wasn't the first to get in touch with Fraser, In fact a couple of weeks ago local newspaper, The Extra, interviewed Fraser and published a little write up about the festival. The information below is the extended interview. "My wife, Laura, is from Eaglesham and most of her family still stay there. The idea for the event actually started as a way to mark our wedding anniversary. Last summer was so amazing for us, and for Scotland, because there was such a huge party/carnival atmosphere with everything that was going on. Our wedding in Troon was outside and was just fantastic, and we wanted to be able to have that kind of celebration/party to mark our first anniversary. I think we were sad it was all over to be honest. So I started looking into organising a beer festival as it was something I had wanted to do for a while. 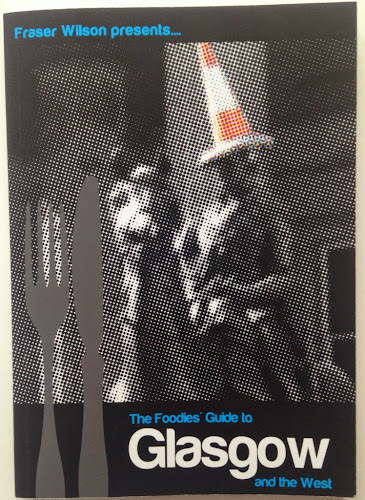 Last year I released "The Foodies' Guide to Glasgow and the West" and am a true food and drink enthusiast with a passion to share the very best of everything Scottish. It made sense to me then to make the progression from writing about what I love, to trying to do it myself. Like food, drink and drinking has changed massively in Scotland. It's not just about going out and eating then moving on to the cinema, or going out and drinking to get drunk; people care about what they are eating and drinking; so eating out is the night out now. It's not a pre-cursor to something else; we'll go out and spend the whole night eating, taking our time with it, talking about it, trying new things, taking pics and Tweeting about it, spending large amounts on it. And that's the same with beer. Tennents, a pint of heavy, a cheap cider, vodka and coke - people see that that's not all there is for a night out. 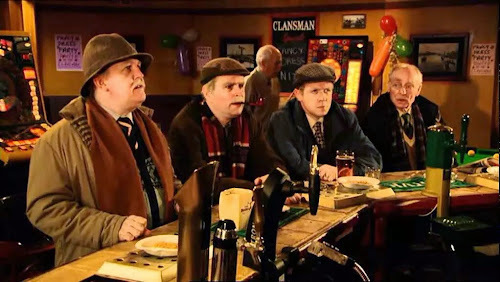 It sounds strange to say that, but until a few years ago such a variety or desire to try new beers/ciders was seen very much as an old man thing to do with Real Ale - it conjoured up ideas of grey, biege bars like the Clansman out of Still Game, with old men supping low percentage beers with weird names. But the Craft Beer revolution has brought that into the 21st century; it has modernised it and made it more mainstream, more acceptable. It has also made it more accessible. People want a beer with flavour, with a point of difference, with a story - they want session ales, not gassy lagers. We're in the midst of this craft beer revolution and it's great. So for me, it seemed silly to miss out on taking part in that. As you'll know, Eaglesham is such a beautiful place and is part of an affluent area - however, nothing like this seems to have taken place here before. Being able to bring that revolution to the village and trying to make it part of the story just seemed right and I really hope it's something people enjoy. The day isn't an excuse for a piss up. It's a chance to enjoy the best of Scottish. I contacted brewers and producers to gauge interest levels, then contacted East Renfrewshire Council to find out what I'd have to do and what (if any) resistance there would be for such an idea. Thankfully there wasn't any and I have to say, the council have been absolutely brilliant in supporting the venture, offering advice and guidance. As have the Eaglesham Fair Committee, without whom I couldn't have managed getting off the ground with the idea, never mind to the stage we're at now. They have been great and deserve a lot of credit. The day will run alongside Eaglesham Fair on the common across from the Eglinton Arms. With that, the day is going to be MASSIVE and AMAZING for the village, and area. There will be something for everyone between the two - it really is going to be class in a (plastic) glass. 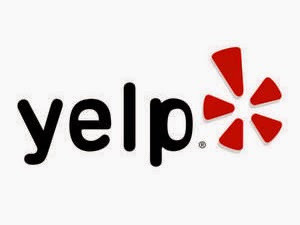 Along with the council and fair committee, Yelp and Whole Foods Market Giffnock have been amazing. Just having their name alongside what I'm doing is huge, but being able to rely on their expertise and input is unbelievable. Between us I think we can do something really special that I hope people love and want to see more of. So far Fyne Ales, Bijou Wine, Thistly Cross Cider, and Whole Foods have confirmed, but there are some really big names to be announce. Drygate Brewery, Franciscan Wells, Loch Ness Brewery, WEST Beer and Harviestoun Brewery have all confirmed their attendance since the original interview. There is a stretch tent courtesy of Whole Foods to provide cover from the scorching sun and for people to converge; in there we will have live music and entertainment, including 10 minute pub quizzes with prizes, raffles, and a few surprises. Singer Scott MacDonald from the area has confirmed, as has band, The Set - Ken Irving from the band is from the village. I think such events are important. The sake of a few miles from the West End, the Barras, Merchant City etc. shouldn't prevent spreading the word. There are a number of events like this on the west coast in really idyllic places, such as FyneFest, Islay Feis, Banchory Beer Fest in Aberdeenshire etc. Eaglesham is an idyllic place and I love it. Why not showcase the village and the best of Scottish at the same time? It's the perfect marriage. Beautiful surroundings, great people, great community, great beer and scran? Sounds alright to me." 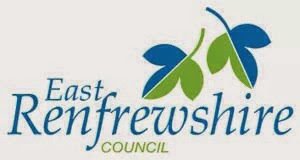 East Renfrewshire Council and the Eaglesham Fair Committee have offered a huge amount of support to Fraser to make sure that the event is a huge success so if you are a lover of craft beers or you want to find out what all the fuss is about, then keep Saturday 6th June clear in your diary. Entry to the Eaglesham Beer Festival is FREE and the event runs from 11am - 8pm, it is ON and OFF-SALE on the day, it's family friendly, and the Eaglesham Fair will be running that day too.